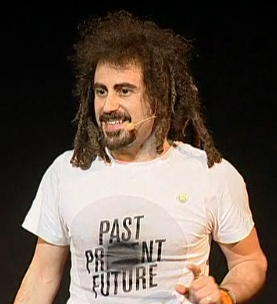 I just remembered a really inspir­ing talk at Guldäggs­dagarna 2010. This was almost a year ago, but I believe it is still well worth shar­ing. Faris Yakob was Chief Tech­no­logy Strategist of McCann Erikson in New York, and is today Chief Innov­a­tion Officer at MDC Part­ners. In his present­a­tion, Faris used a mind-pro­vok­ing defin­i­tion by Bran Fer­ren that tech­no­logy is stuff that doesn’t work yet! any­thing that gets inven­ted after we’re thirty is against the nat­ur­al order of things and the begin­ning of the end of civil­isa­tion as we know it until it’s been around for about ten years when it gradu­ally turns out to be alright really. PS – Can’t view flash on your device? View this post on a reg­u­lar com­puter (Mac or PC).